Nymphaea caerulea, most often referred to as blue lotus, is a water lily known to man since Ancient Egypt. Back then, it was used in spiritual rituals due to its stimulant and aphrodisiac properties. Today, the plant is still consumed all around the world. Although its ceremonial use has dwindled, blue lotus is still revered today for its health benefits and appealing effects. Blue lotus is a great relaxant that doesn’t get you extremely high. Instead, effects are more subtle and well-rounded. The prized sedative outcomes of the lotus come from its natural antispasmodic properties, in turn helping to alleviate stress and anxiety. Stress tends to manifest physically in the stomach. Blue lotus is capable of calming down the stressful activity, helping to ease gastrointestinal conditions like ulcers, cramps, and diarrhoea. Moreover, the leaves are known to reduce blood sugar levels. Consuming the raw leaves, a tea, or even a tincture with regularity may be of benefit to those looking for a natural way to lower blood sugar. But if sweets are not your thing as much as a good steak, don’t worry. The blue lotus will also help reduce cholesterol levels. This doesn’t mean it will help counteract your heavy diet. All it means is that if you’re already taking measures to reduce cholesterol, might as well try this out too. The vitamin B present in blue lotus goes a long way in improving mood and general wellness of the body and mind. It’s a great thing to consider having with your morning coffee. The L-carotene vitamin will also boost your metabolism, which takes care of the way you process food. In the long-term, this may help prevent excess weight gain. The improvements to the immune system will also help soothe and prevent infections and rashes on the skin. In this scenario, it’s recommended that you use a topical blue lotus application. There aren’t many side effects known to have a significant health impact, but there are a couple still worth mentioning. Because of the decrease in blood sugar level, you’ll have to monitor this closely if you have diabetes. If it goes unnoticed, low blood sugar can have serious adverse implications on your health. This same factor is also a concern when undergoing surgery. If you have a scheduled surgery, make sure to talk to your doctor about your blue lotus consumption. Stop taking it at least two weeks before the surgery. Not having the correct amount of sugar in your blood can be quite risky during and after surgery. You can find blue lotus in various forms. From oil extract to dry herb, there’s a way for everybody out there. If you’re looking for help with pain or trying to relax tense muscles, we would recommend a topical oil. Rubbing some onto your skin will absorb the alkaloids almost instantaneously. If what attracts you are the psychoactive effects, then smoking will be your best option. Most of the psychoactive compounds are found in the buds. You can press these to extract a hash-like resin. Smoke this in a joint, bong, or pipe just as you would cannabis hash. You can even smoke it in a vaporizer with an e-liquid made from the resin of the plant. If you’re not looking to smoke anything, you can always make tea or wine. The tea is fairly easy to make. You have to soak about 5 grams of the plant in hot water and allow it to cool before you can consume it. For the wine, the recipe is a bit more time-consuming, but still fairly easy to accomplish. Place 10 grams of your blue lotus herbal mix inside a mason jar and fill the rest with your favourite wine. Let the mixture sit for a week, or two if you want an extra-potent solution. Shake this daily without opening the jar. You can mix other stuff in there to add some flavour, like vanilla or damiana. Another thing we recommend is dropping a spoonful of honey into the mason jar to sweeten the drink once it’s ready. 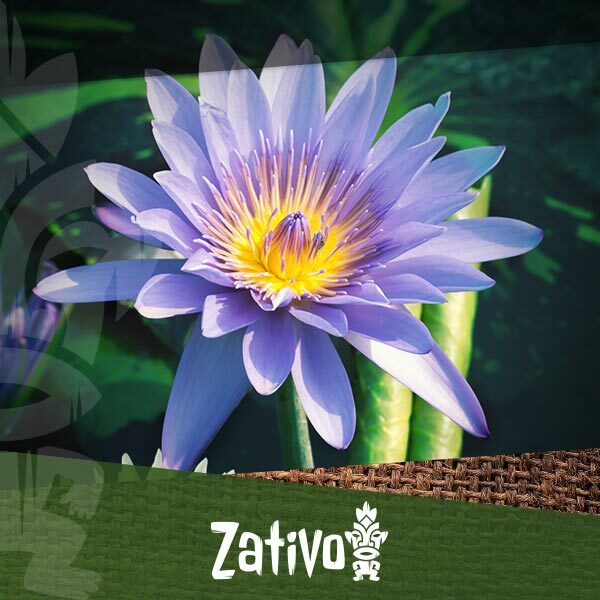 The blue lotus extract is a simple modernisation of the ancient ritual. Instead of having to buy the flower and cook with it, the tincture is ready for you to consume. You can add this to any drink or food to experience its effects. Take anywhere between 6 and 10 drops up to two times a day. After its rediscovery as a psychoactive, the blue lotus moved from the Nile Delta to all corners of the world. Besides its use in perfumes and cosmetics, and its benefits on health, blue lotus has been shown to have multiple “recreational” effects on the human body. Some consumers have compared the experience to that of ecstasy, but this seems quite exaggerated. You can expect euphoria closer to that of consuming THC-rich cannabis. There are no known overdoses from taking blue lotus, and the plant isn’t toxic, but this doesn’t mean you should consume it care-free. It has been reported to induce hot flashes and slightly jumpy feelings when consumed in high quantities. Make sure you speak with your doctor before you start taking it regularly. And don’t mix it with other drugs like painkillers or even cannabis. Blue lotus is illegal in a few countries like Russia, so make sure you study your specific situation before purchasing it. The US has banned it for human use, but you can still purchase it as it’s not illegal. In the EU, blue lotus is widely legal. Just make sure you trust your vendor. Our blend is of extremely high quality and 100% safe for human consumption. Consume it responsibly and you should not have any problem. Good luck!